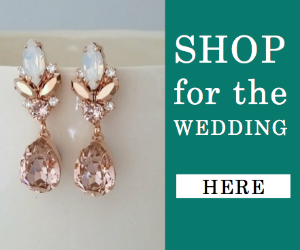 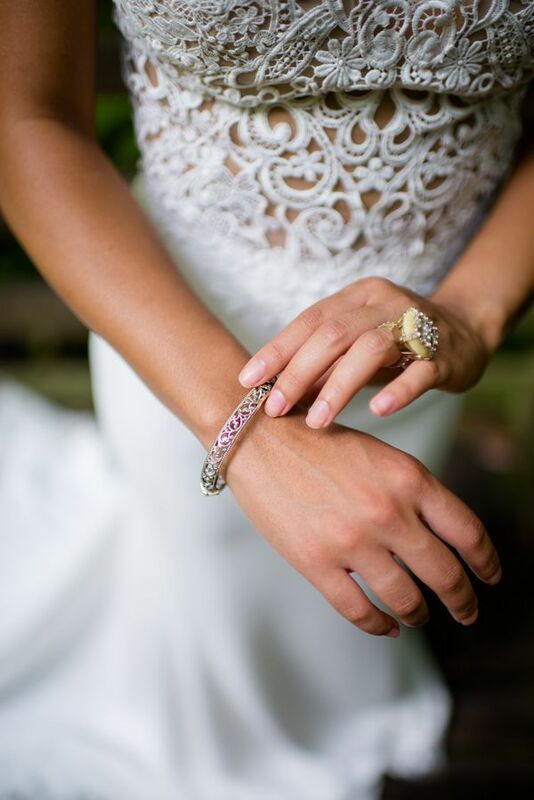 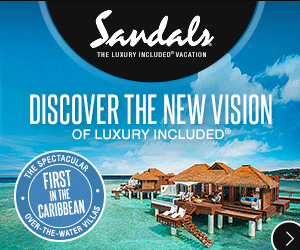 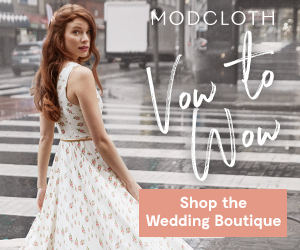 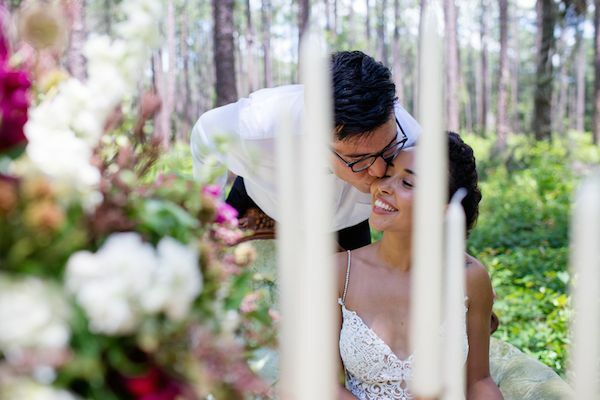 When you think of Florida nuptials, the warmer months instantly come to mind — no doubt. 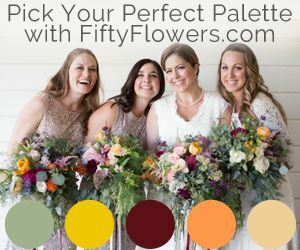 But what about fall and winter? 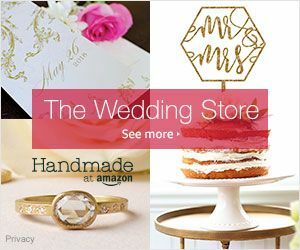 Our philosophy? 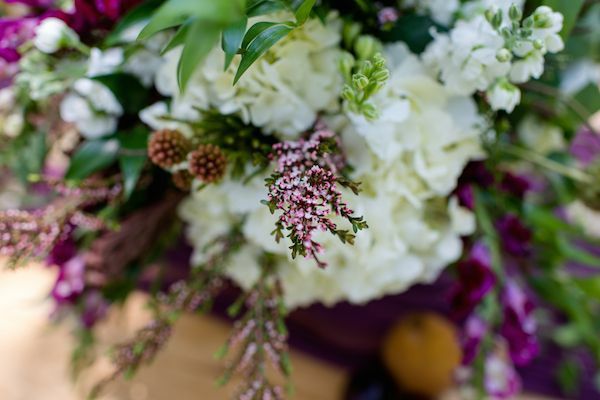 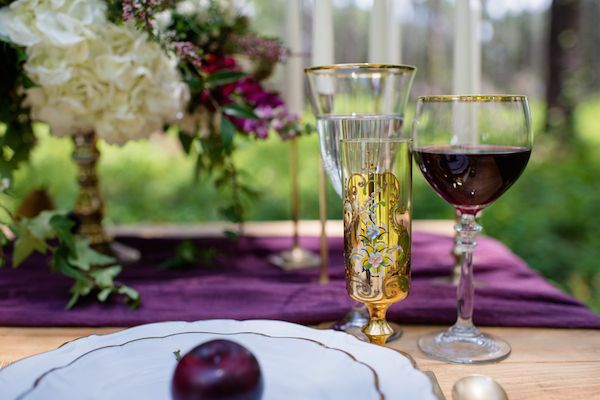 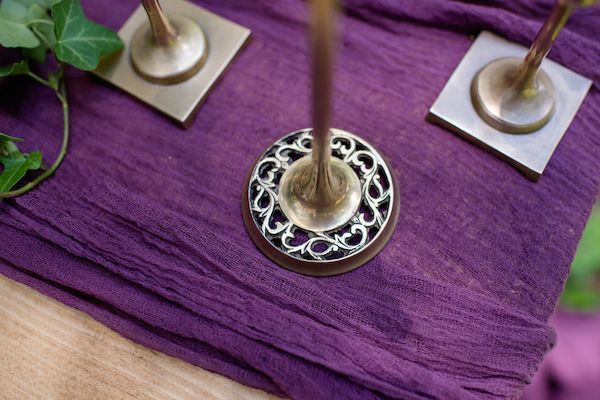 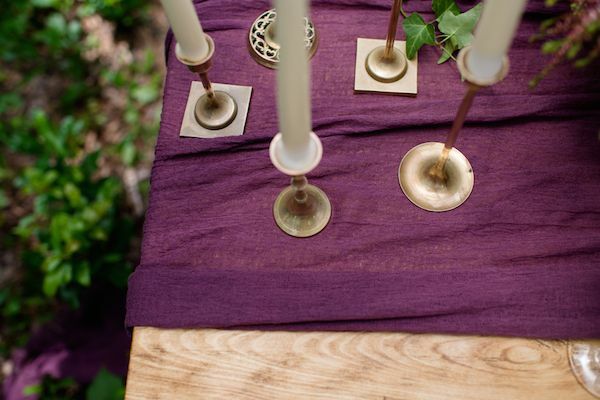 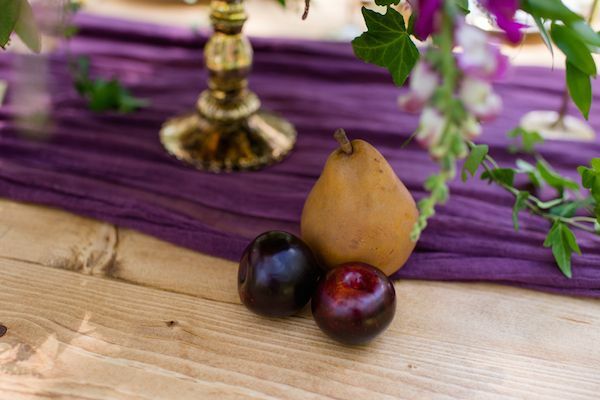 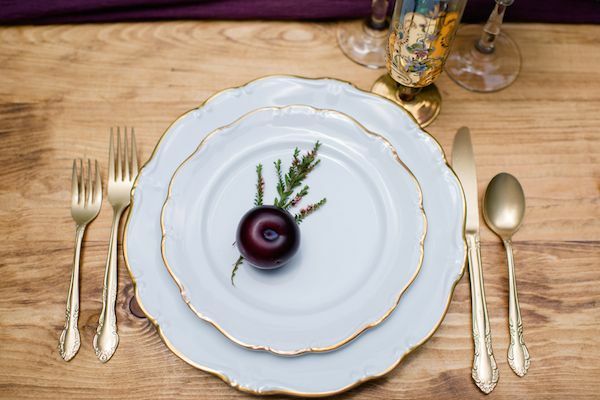 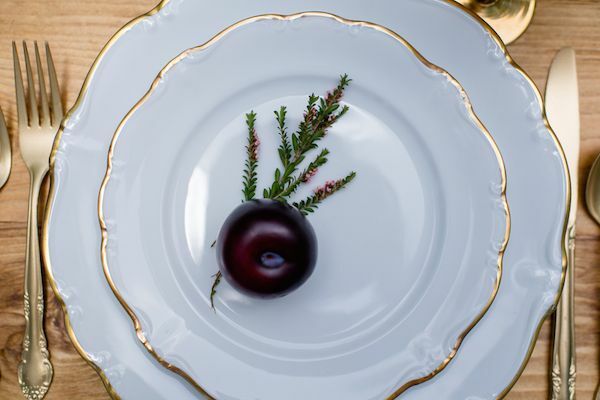 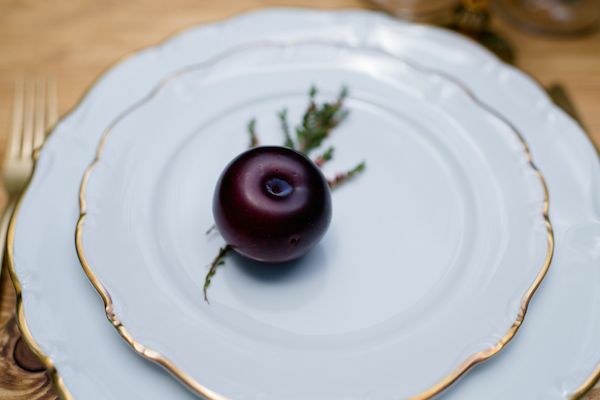 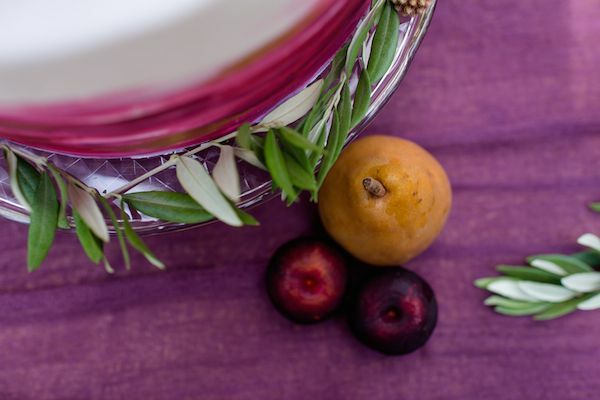 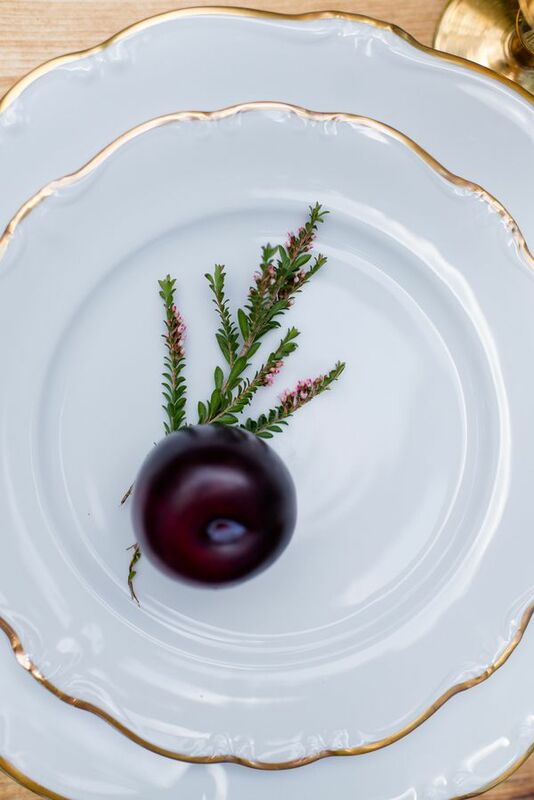 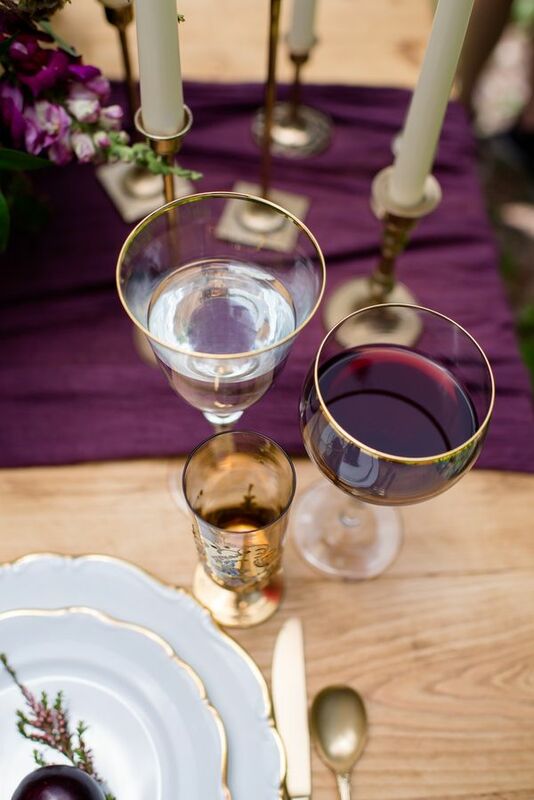 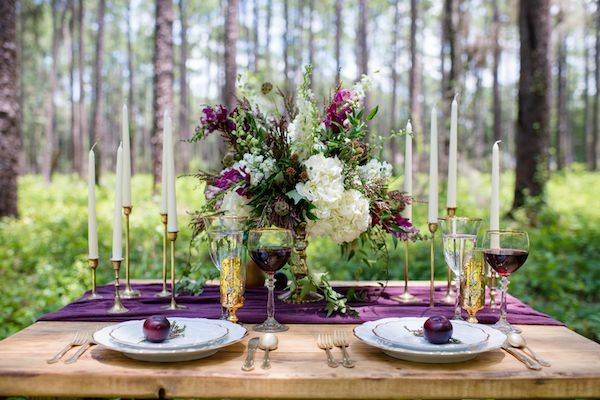 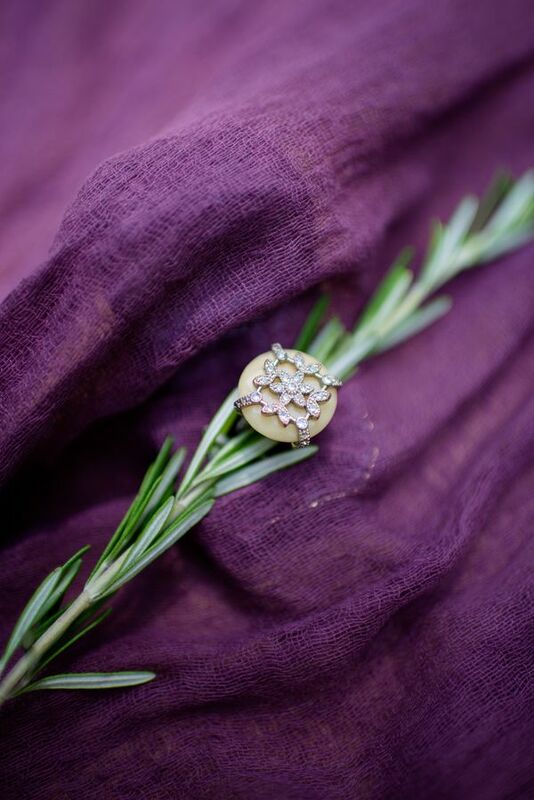 Living in a state that's known for it's higher temps, doesn't mean you can't partake in the fun of autumn color palettes like this one that pairs plum, gold, and hints of fuchsia and sage. 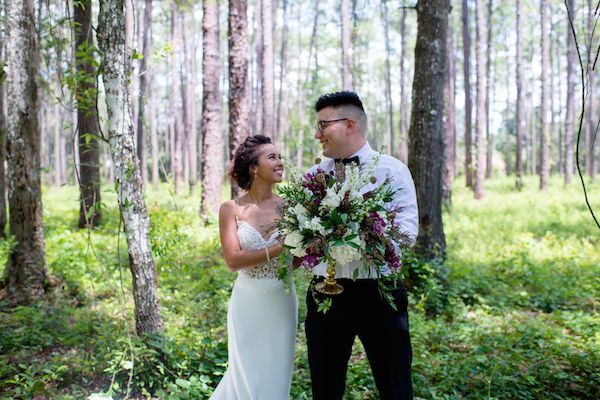 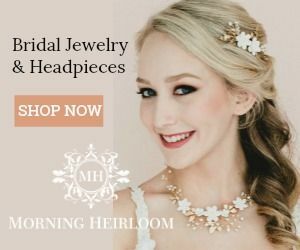 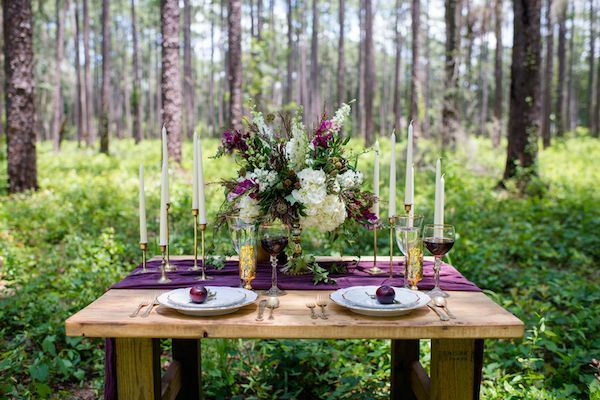 With an incredible team of vendors from all over the state of Florida including event designer, Timeless Fete Co as well as floral designer, Atmospheres Floral and Decor — today's elopement inspiration is a total must see and it's a good thing that Dragonfly Photography was there to capture all of the pretty! 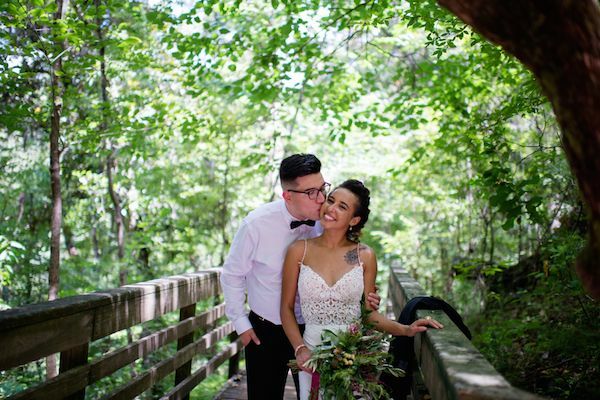 To pull this off, this team of pros knew that an adorable real life couple who was madly in love, was essential. 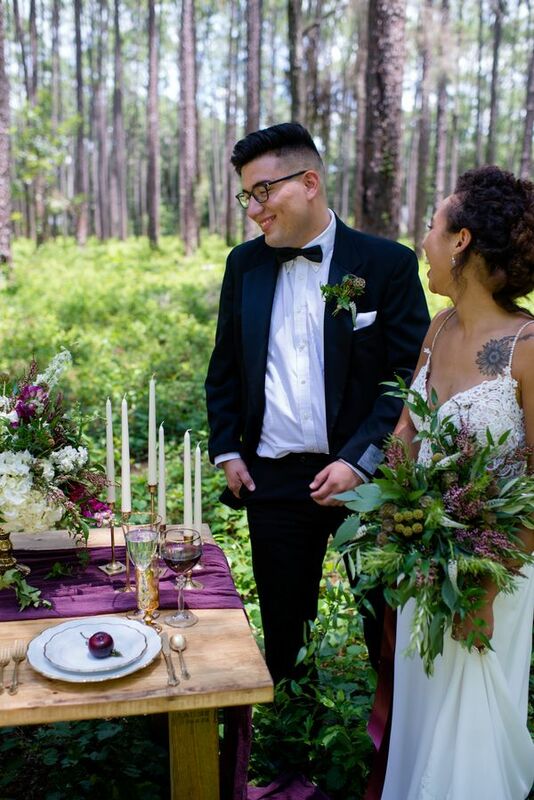 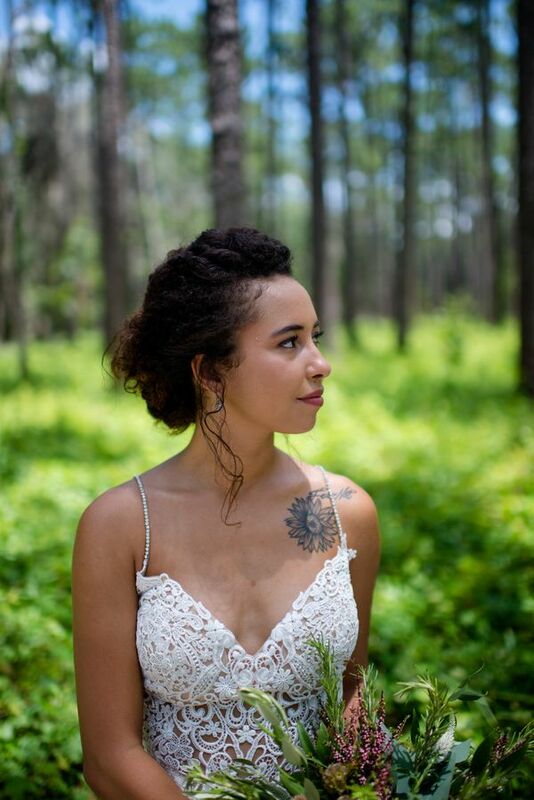 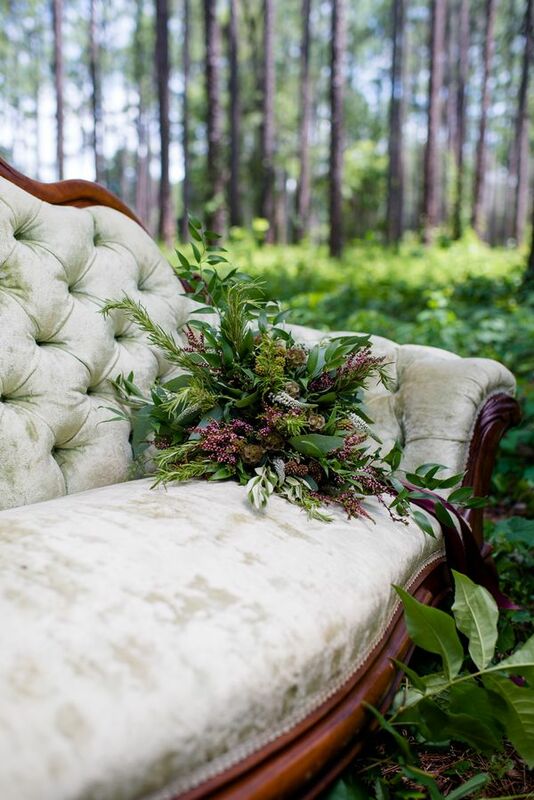 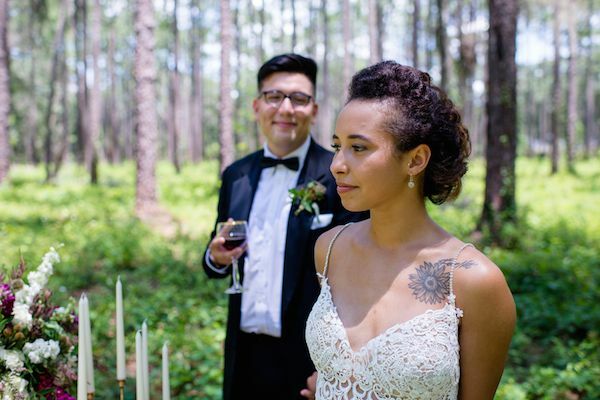 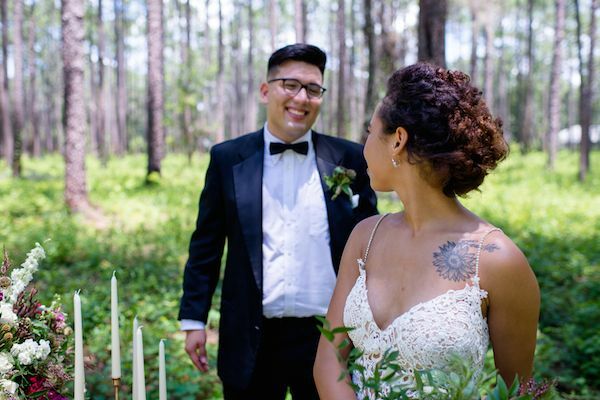 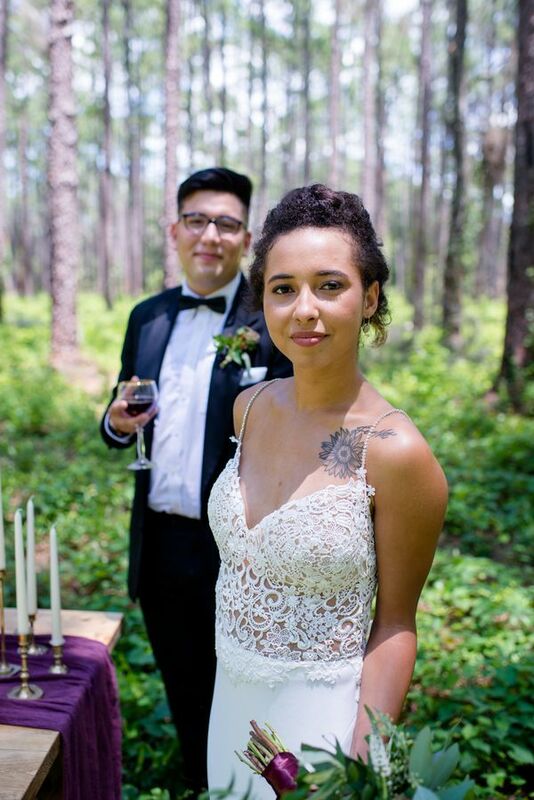 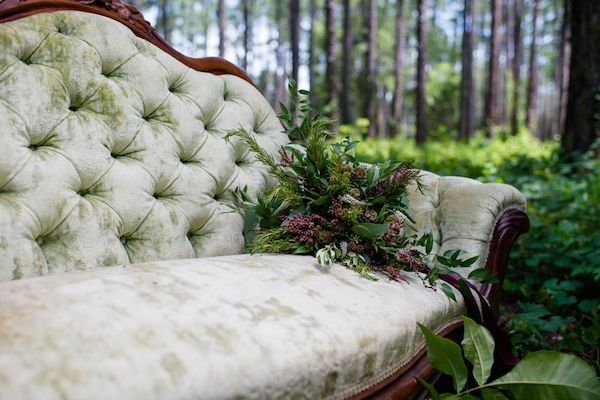 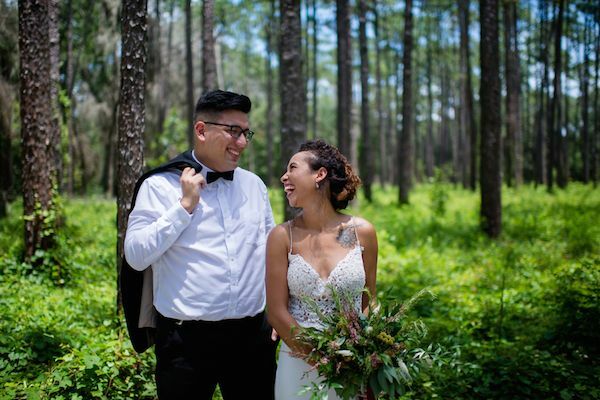 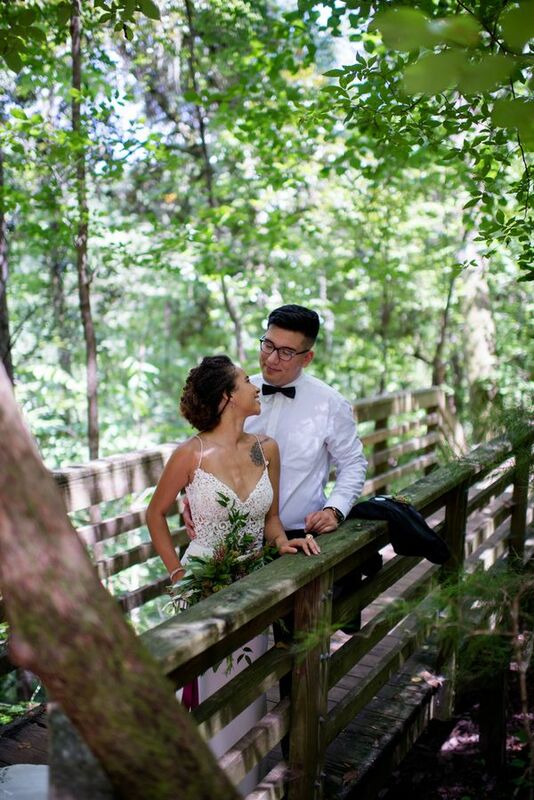 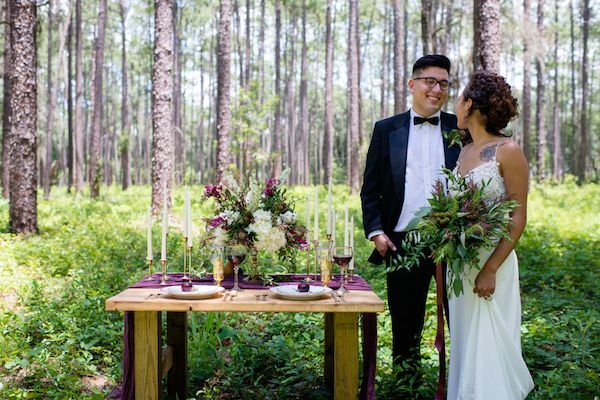 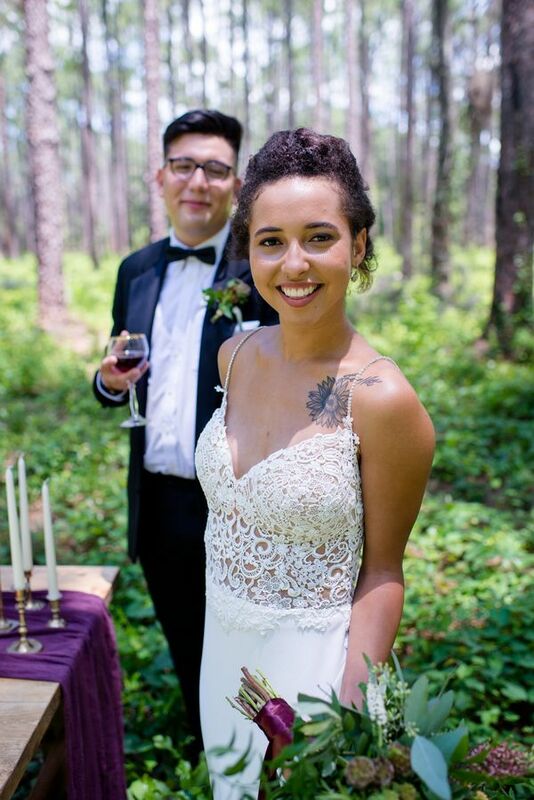 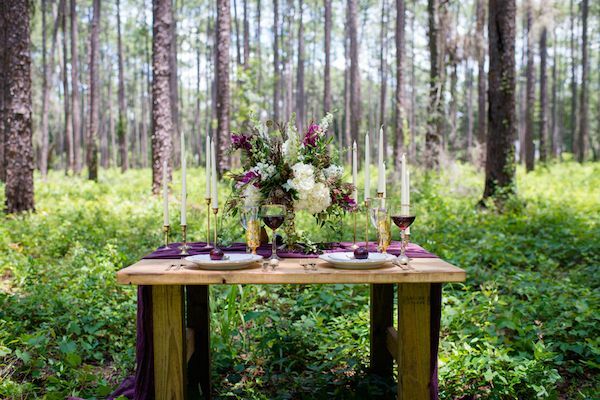 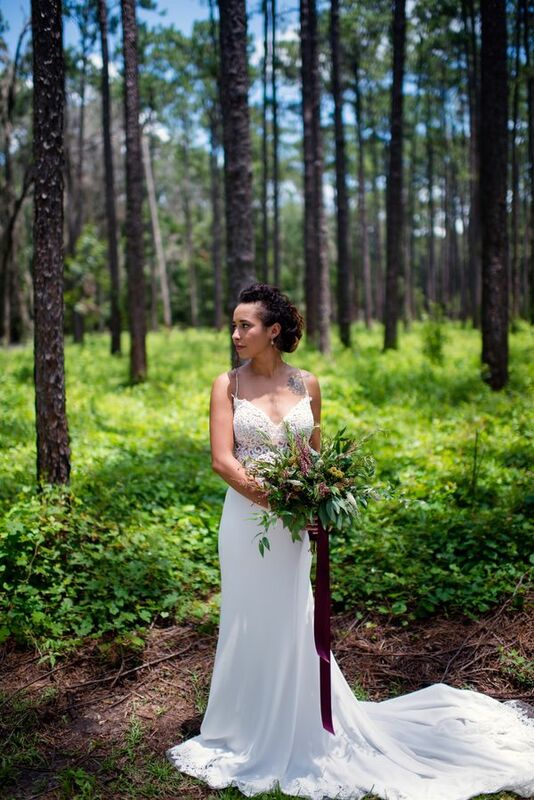 From the team, "Our idea was a styled elopement at this gorgeous location in the middle of Florida. 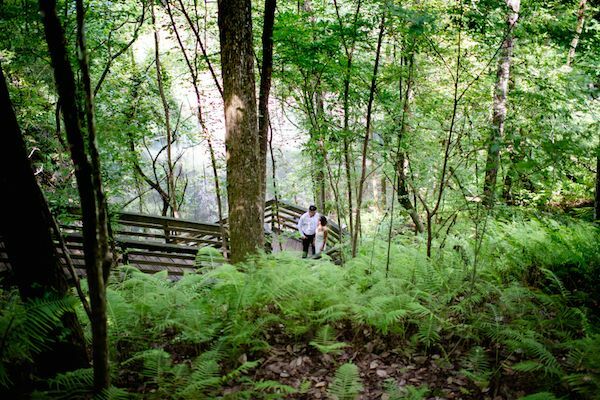 The Devil's Millhopper is a state geological park with 232 stairs (We counted! 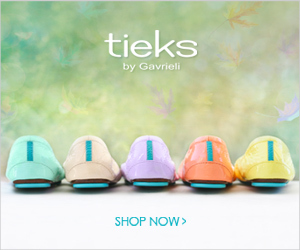 Just kidding, we googled!) 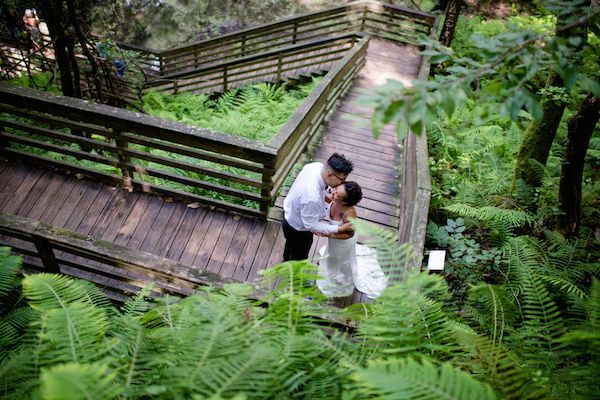 that wind down to a geological sink hole in the middle of the Florida wilderness. 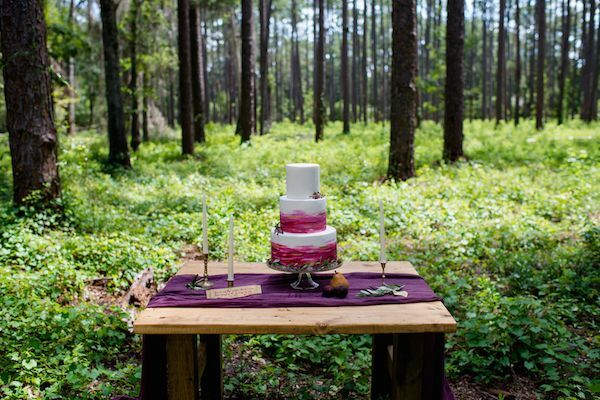 From the team, "The location is really quite the sight. 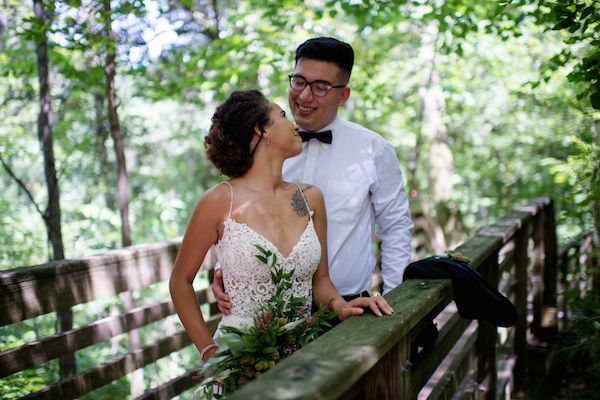 I was photographing a wedding in the area when I first saw the park from a distance and instantly I just knew I had to get back there to photograph it." 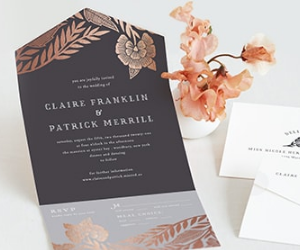 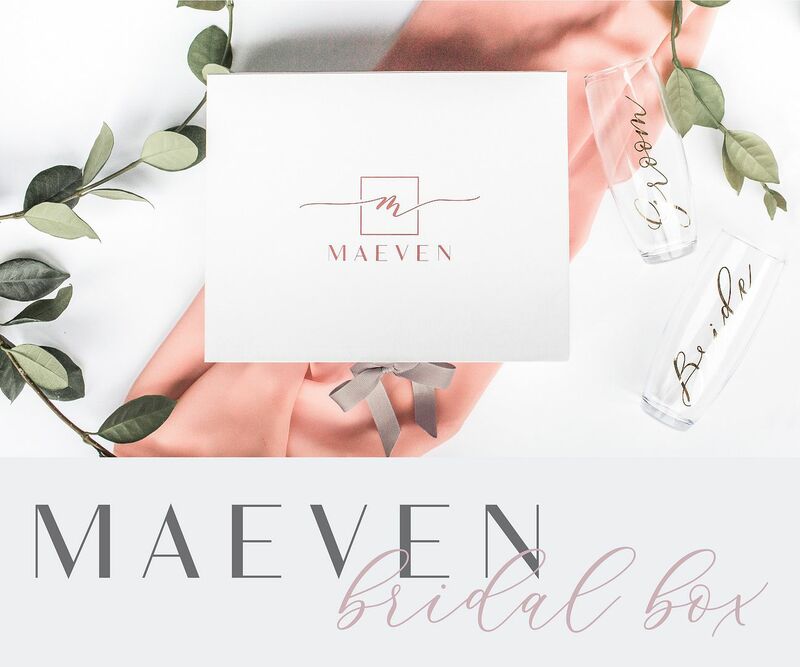 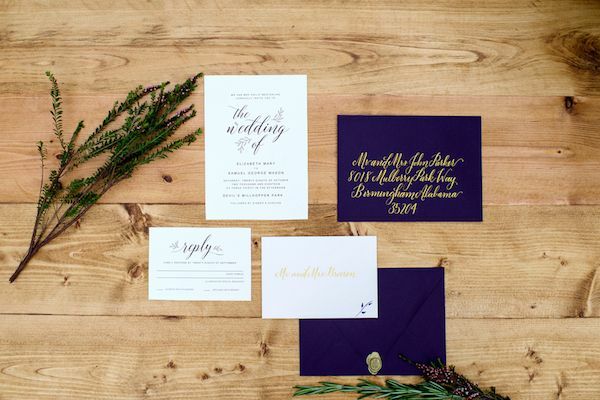 Calligraphy by Hayley Heatley accented these invitations designed by Kismet Print Co so perfectly. 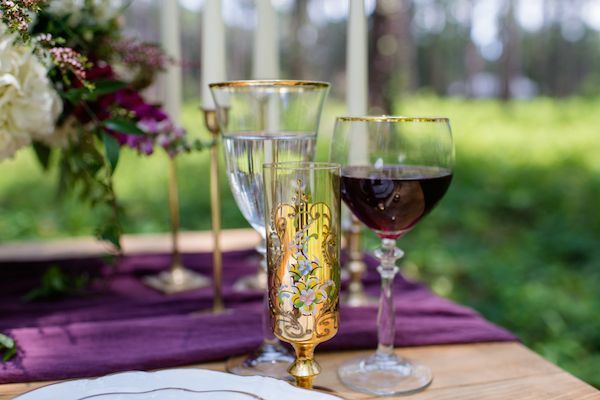 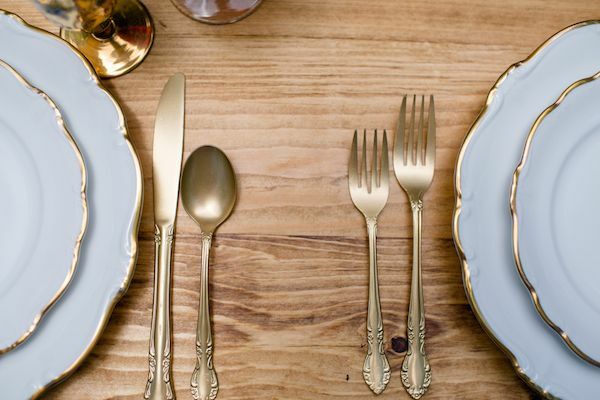 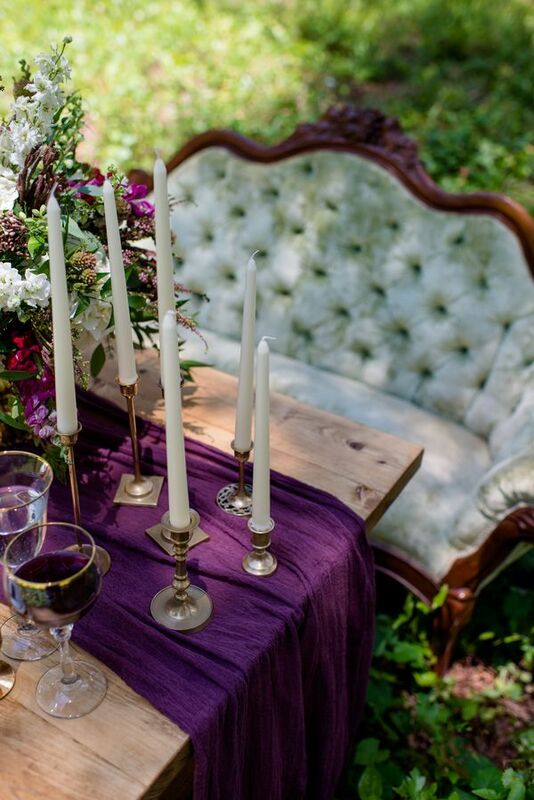 And what's not to love about these gorgeous rental pieces from Southern Vintage Decor? 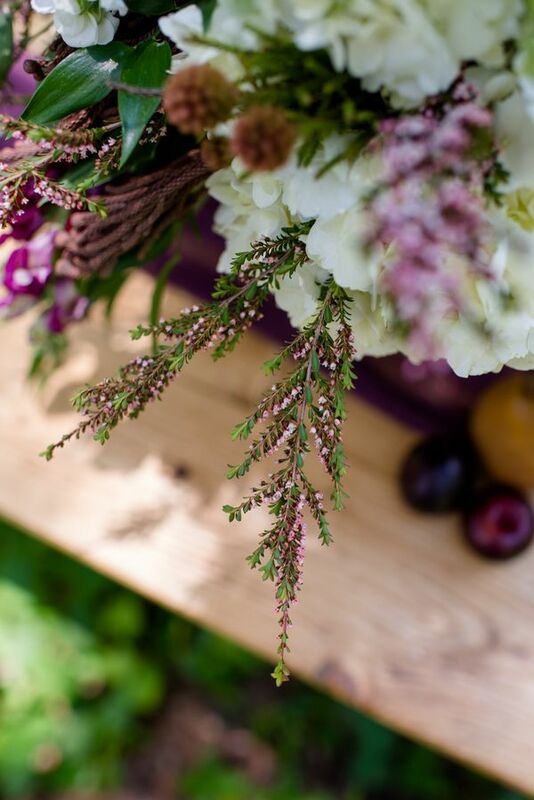 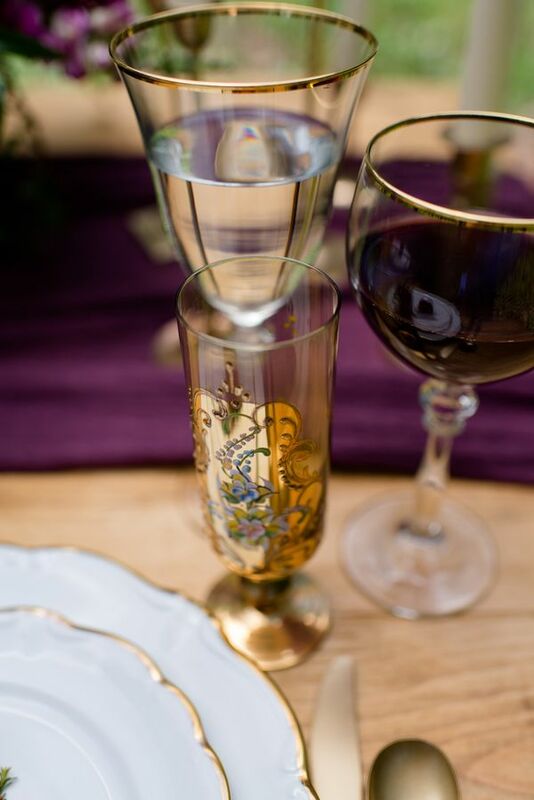 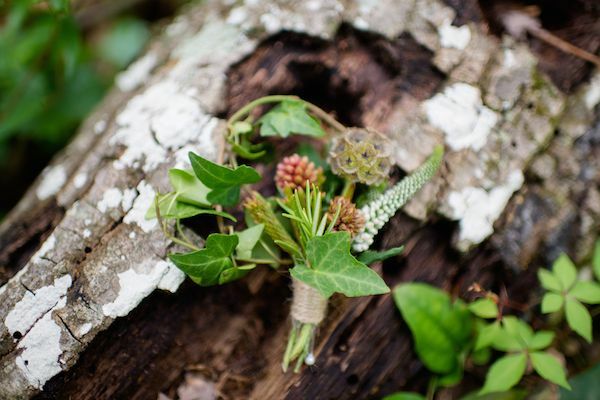 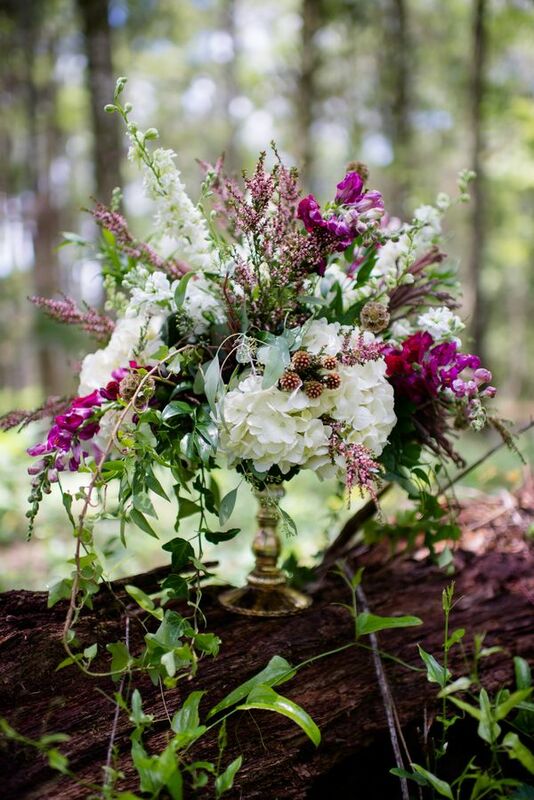 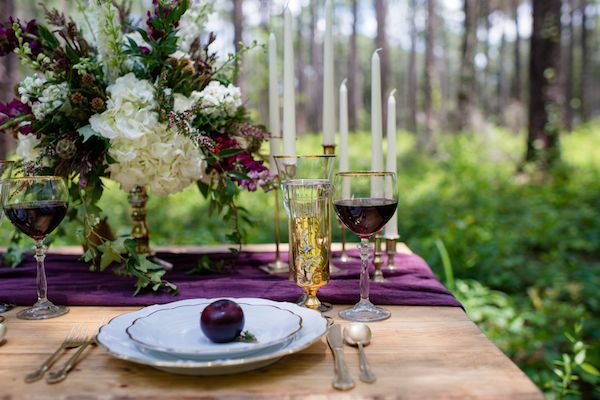 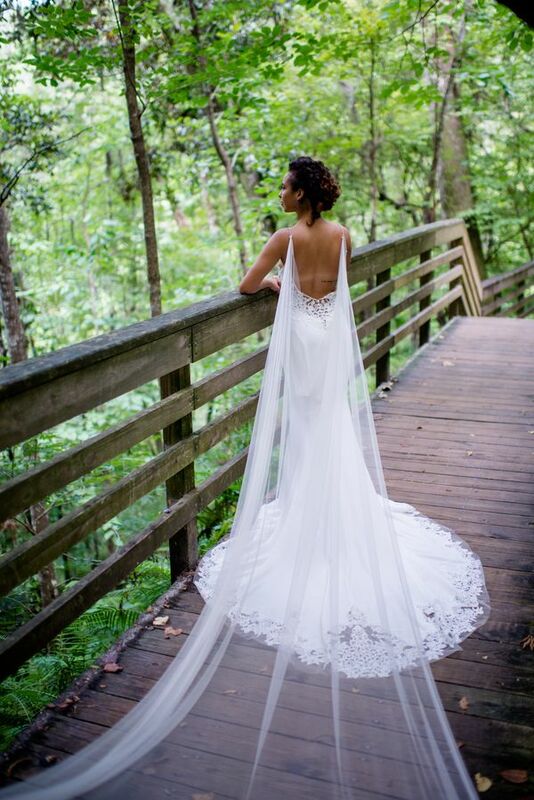 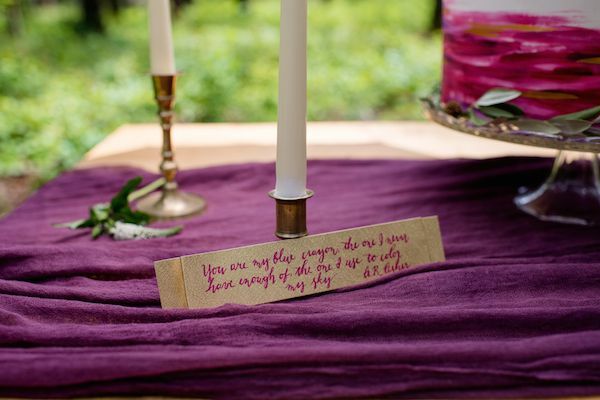 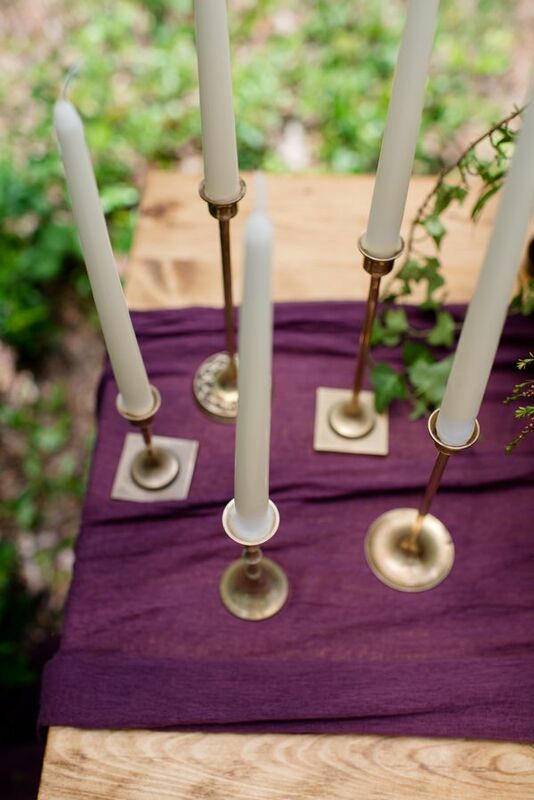 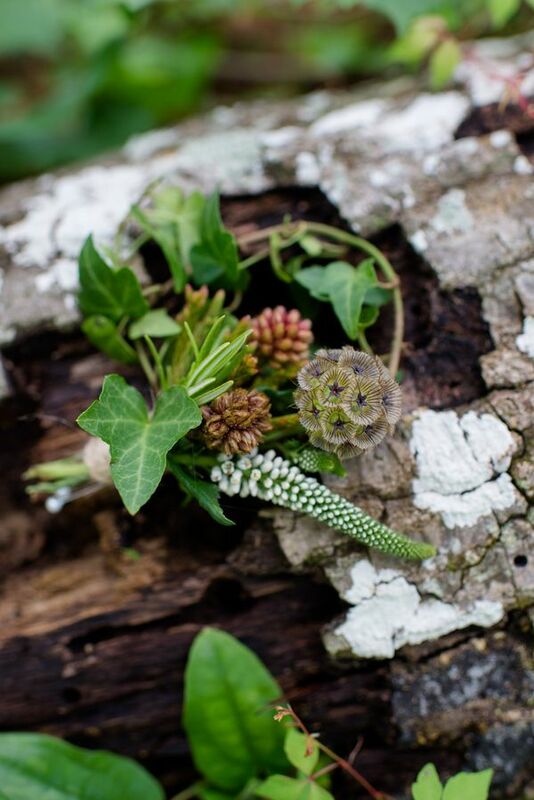 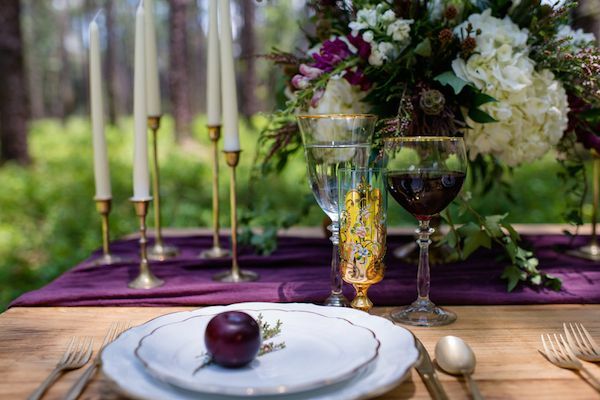 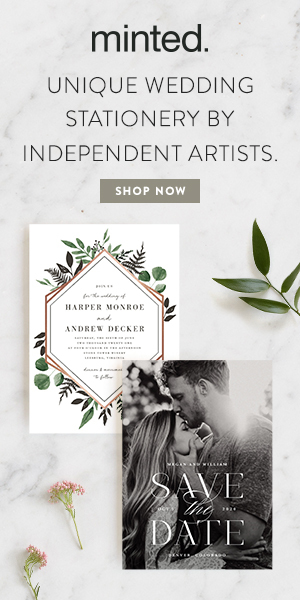 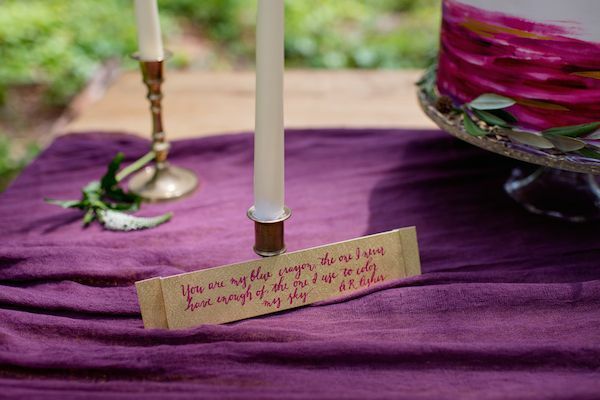 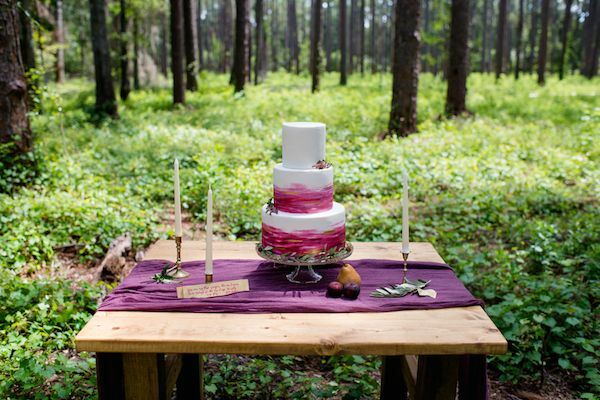 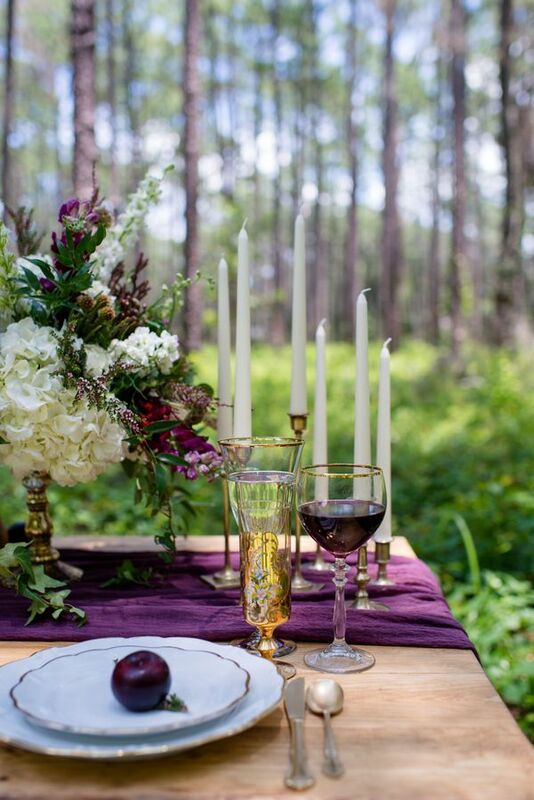 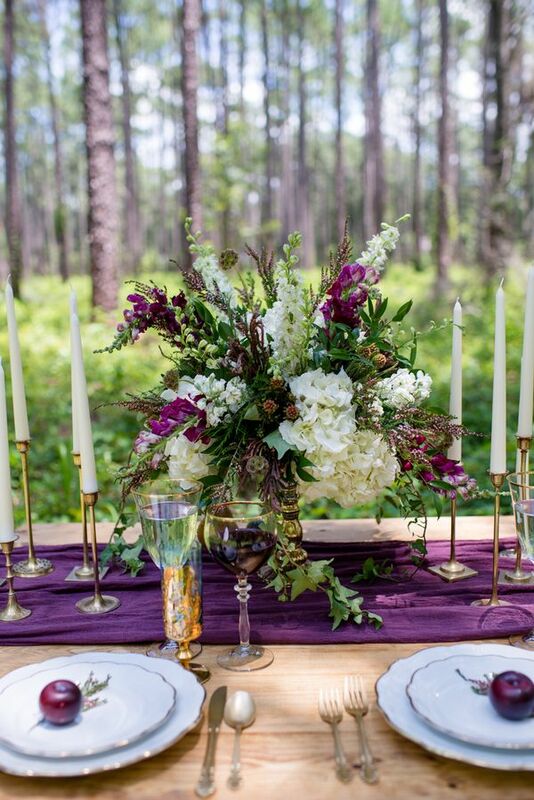 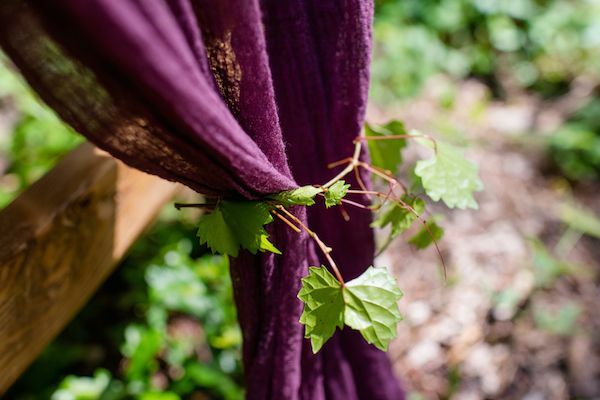 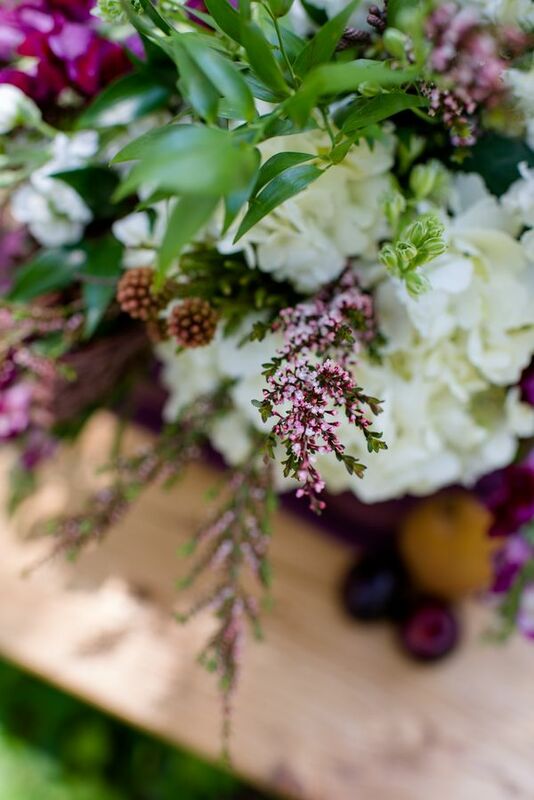 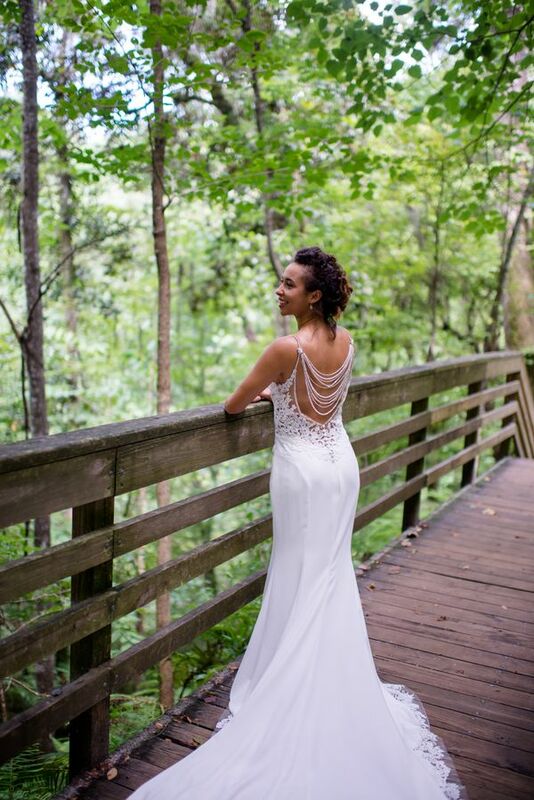 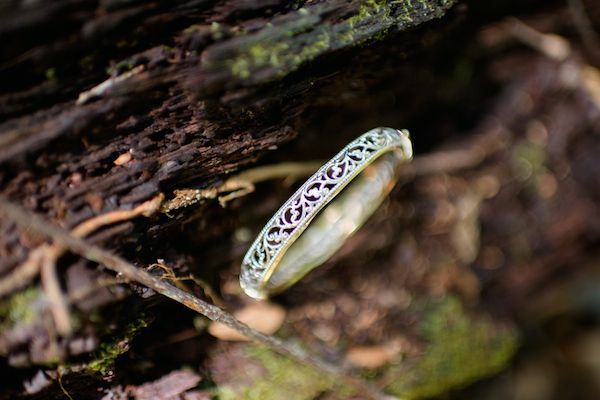 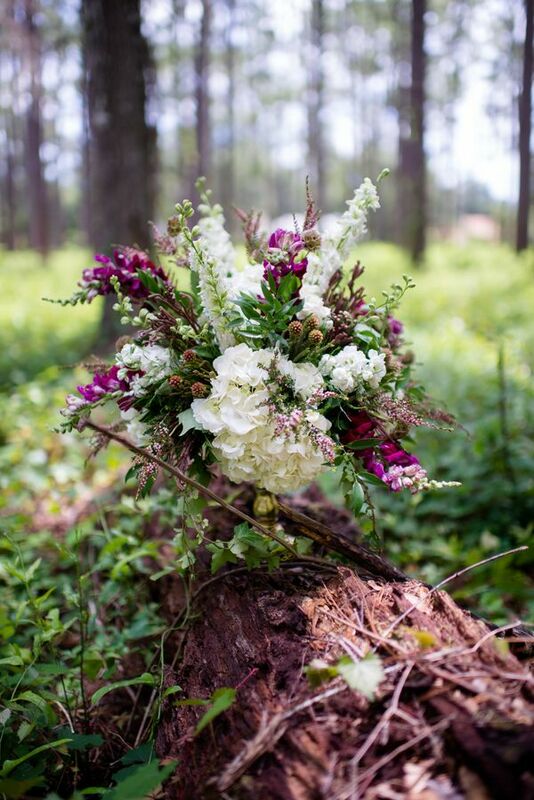 More from the team, "Our inspiration was a secluded romantic, earthy vibe. 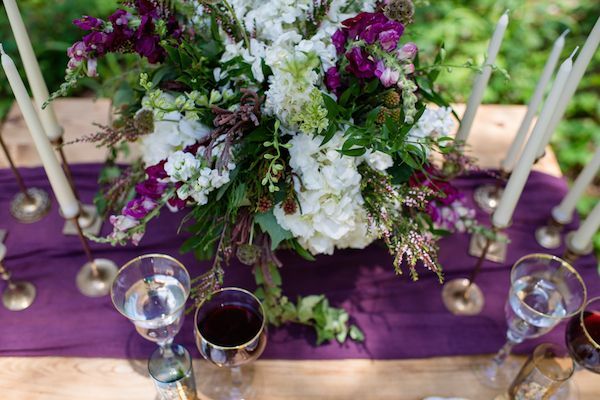 Combining deep purples and wine colors. 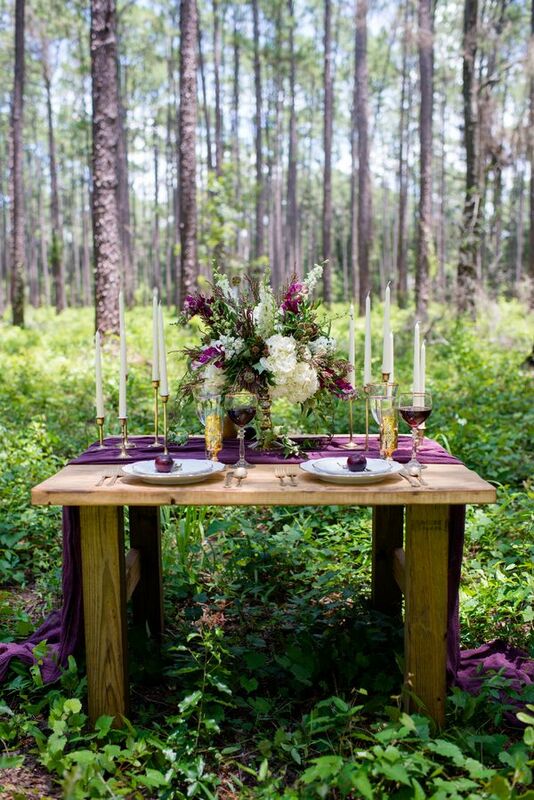 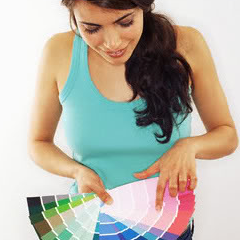 The idea of luxury and organic marrying together." 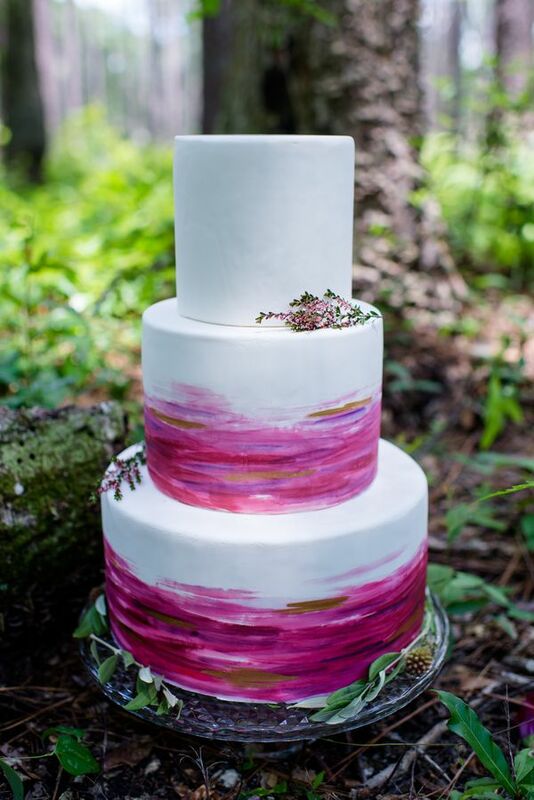 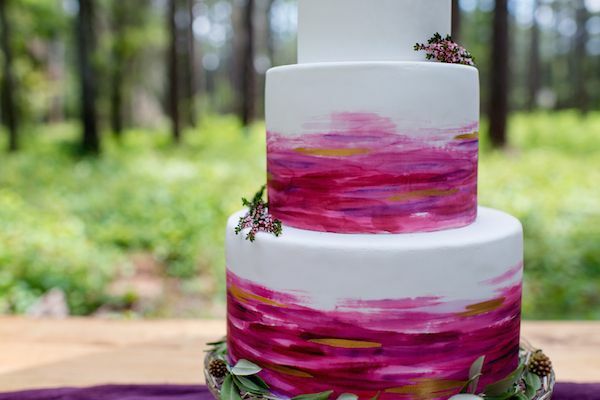 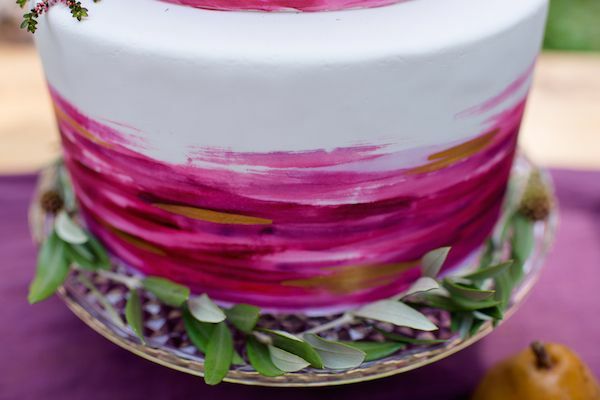 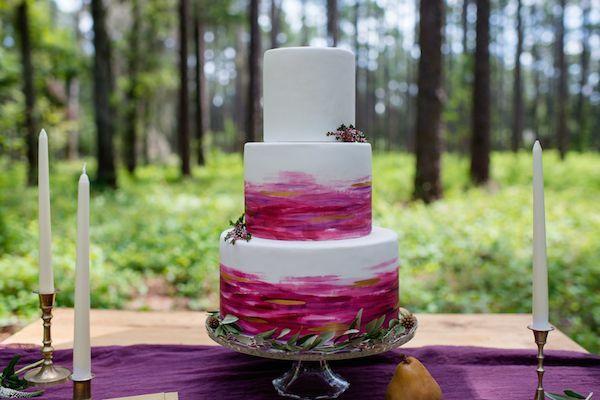 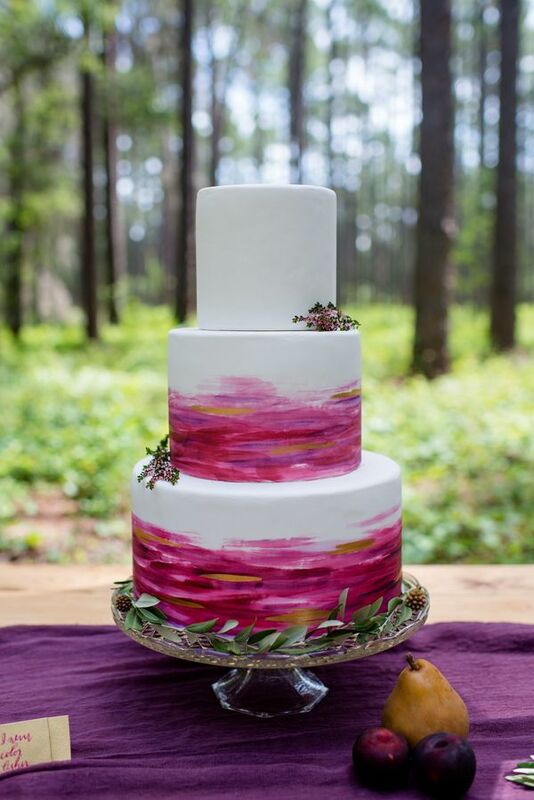 We're so smitten with this watercolor inspired hand painted cake by The Cake Studio. 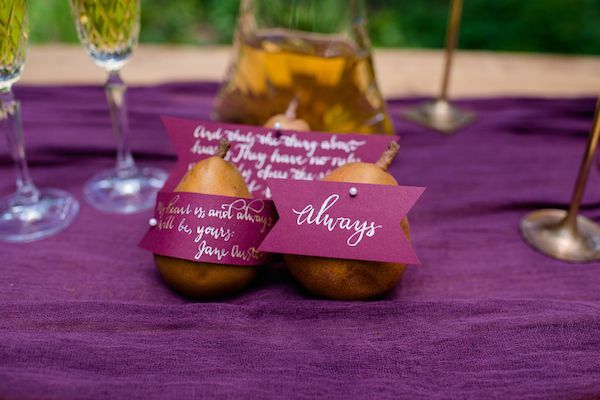 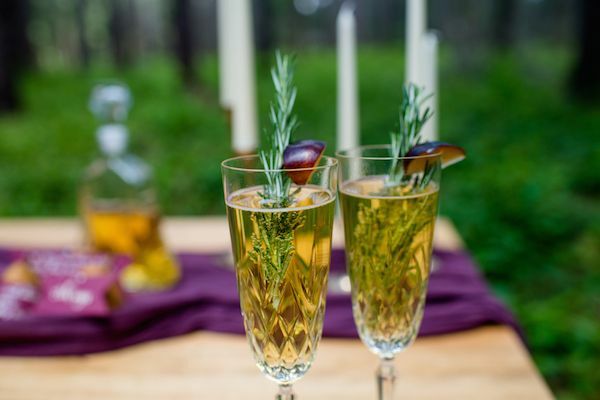 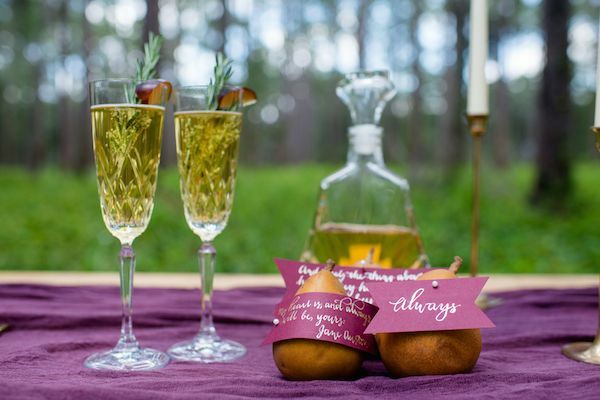 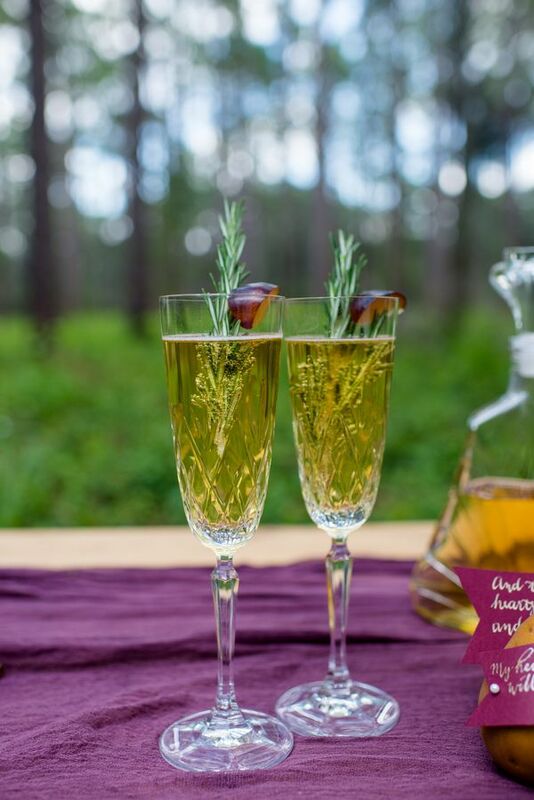 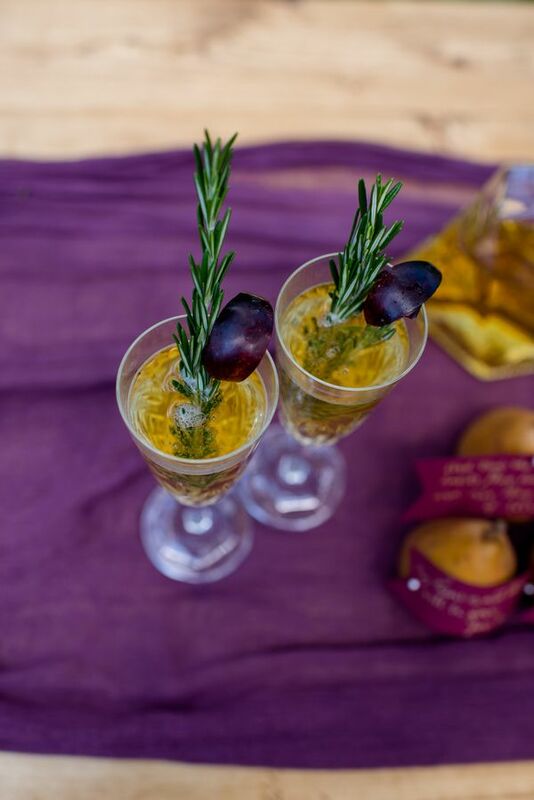 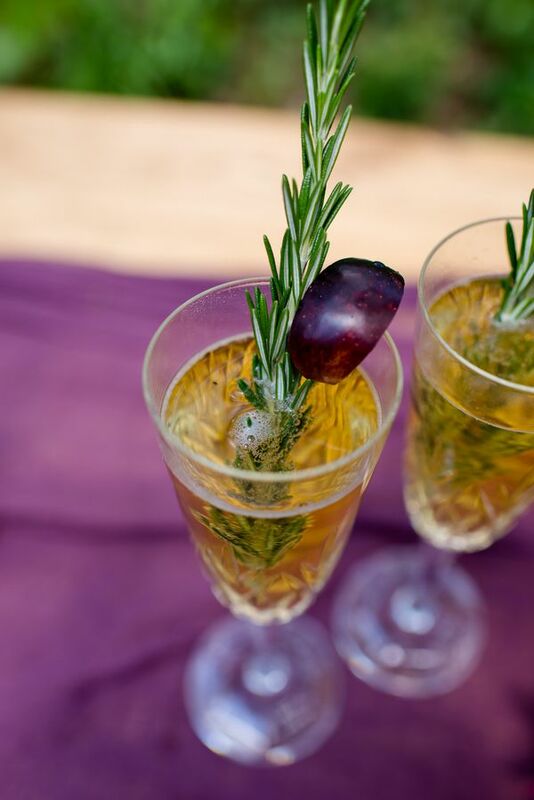 No Comment to " Pears & Champagne Elopement Inspiration "